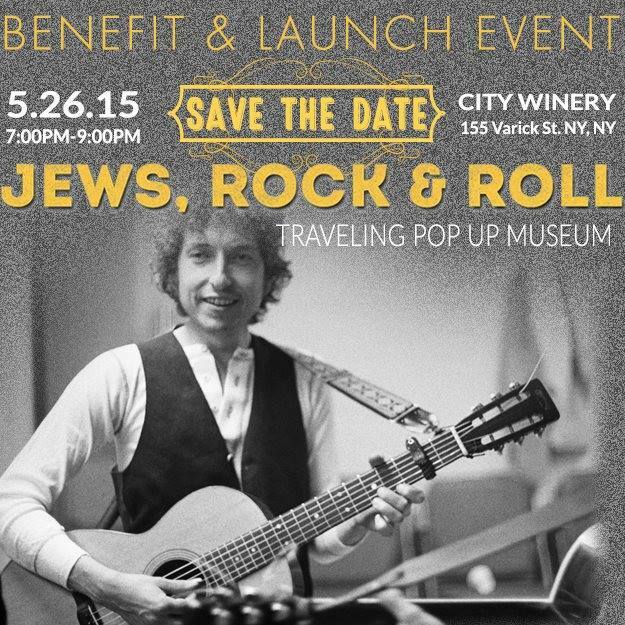 Jews, Rock and Roll traveling pop up museum would love for you to join them at their New York City Benefit Launch. To be continued with a musically infused oral history of Jews in rock from Ben Sidran, musician and author of There was a Fire: Jews, Music and the American Dream all while showcasing a preview of the museum exhibit. Tuesday, May 26th, 7-9 PM @ City Winery New York. Show starts promptly at 7pm. Jews, Rock and Roll, a traveling Pop Up Museum, tells the story of Jews in America, illustrating the history and influence of Jews in popular music from the 1930’s to today’s pop stars. This exhibit explores how a small group of immigrants had such a significant and positive influence in shaping American pop culture. Audiences will gain a rich understanding of Jewish identity and ethnicity by exploring the development of jazz, blues, R&B, pop music, and of course the business of music. This exhibit will include stories of great musicians, but also of the people who helped make American popular music what it is: the Chess Brothers and Rick Rubin, Greil Marcus and Clive Davis, Milt Gabler and Moe Asch. Focusing on the stories of these people and their role in the evolution of American popular music, opens a rich conversation about the intersection between ethnicity, religion, and popular culture, and how the margins of American culture help define the mainstream. 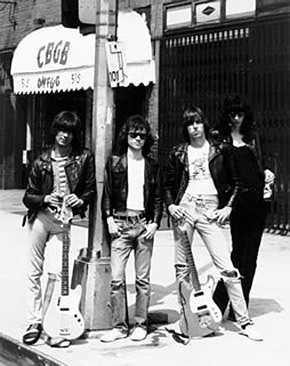 Jews, Rock, and Roll will tour as a traveling exhibit for traditional museums, exhibition spaces, and “Pop-up Museums” in short-term storefront rentals in 10 to 15 cities across North America. Over 500,000 people will see the 5,000 sq. ft. exhibit over two-three years. The exhibit is organized, around five specific eras: The Rise of the American, The Rise of the Teenager, The Rise of Counter Culture, The Rise of Record Industry, The Rise of the Post Modern/Ethnic American. Miami, San Francisco, Washington, Philadelphia, Boston, New York, Chicago, Toronto, Cleveland, Los Angeles, Houston, Atlanta, San Diego, New Orleans, Seattle, London, Jerusalem, Amsterdam.